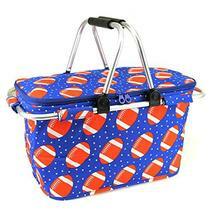 Size:15" W x 9" H x 8.5" D Collapsible zipper top cooler bag w/ rubber handle grips. Insulated interior to keep items cool or warm. 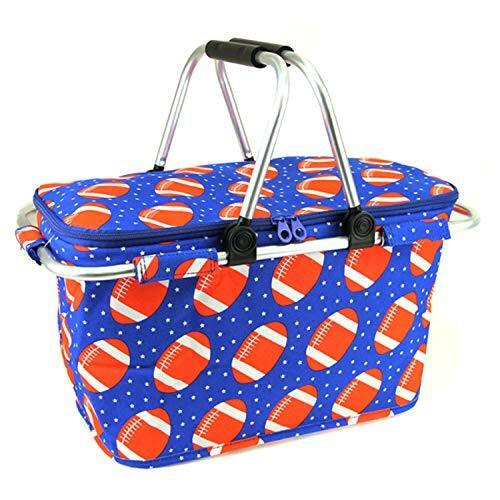 This is a really cute metal frame, insulated market tote! Great to use for your cold grocery items. Also, a great picnic basket! Take it to the ballgame or on a road trip. So many possibilities! You can even use it for storage.